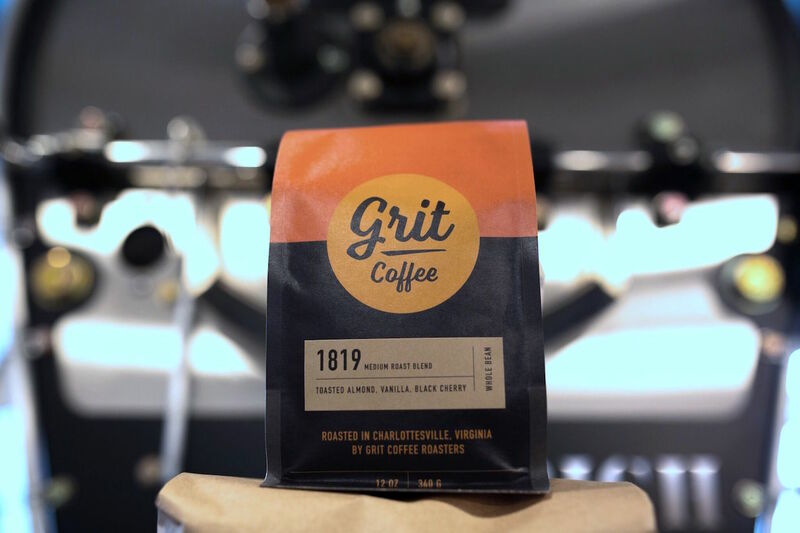 A bag of Grit Coffee’s 1819 blend, one of four core blends initially offered through the roasting program. All photos courtesy of Grit Coffee. Grit, guile, intestinal fortitude, stick-to-itiveness — whatever you want to call it, there’s a whole lot of it required to take the risks involved with growing a small business. Since its founding as a single shop under the name Para Coffee by Eric Kelly near the University of Virginia campus in the heart of Charlottesville in 2008, through its 2014 rebranding to become Grit Coffee in 2014 to now, Grit has stuck with the program, expanded its retail footprint and helped usher in a new wave of quality-coffee drinkers. 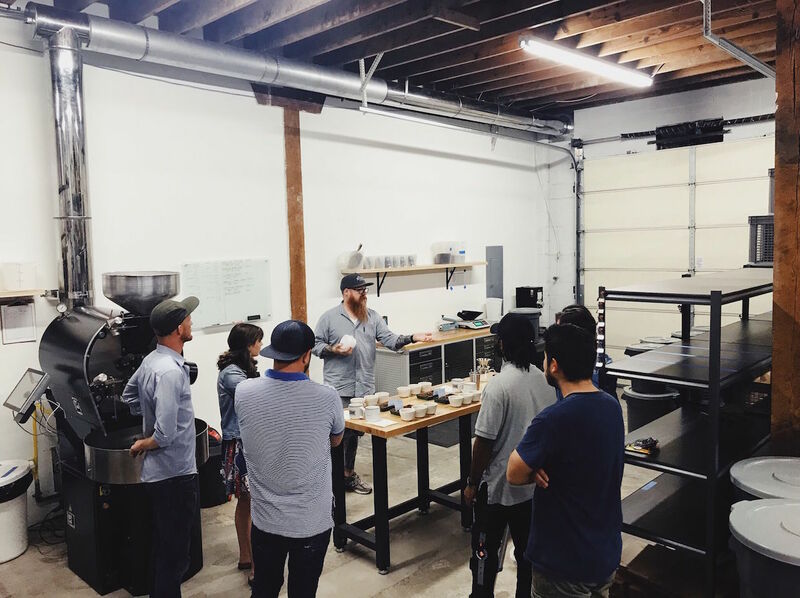 Now with four Grit Coffee shops under their watch, current co-owners Brandon Wooten and Brad Uhl — friends of Kelley’s who took over the business five years ago — have taken the risk of launching a roastery of their own. The Grit Coffee roastery with a Diedrich IR-12 in Charlottesville. 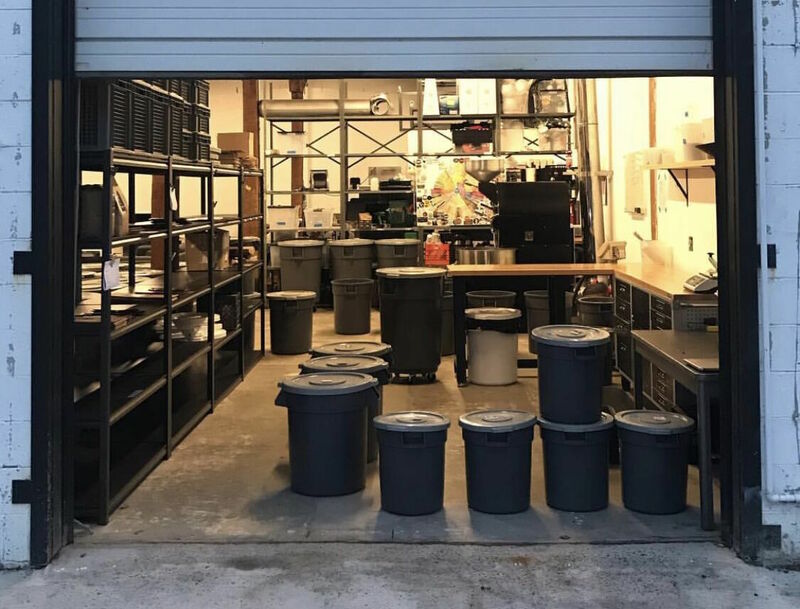 Following about a year of development, training and facility outfitting, Grit began production roasting in a 1,600-square-foot former welder’s workshop with an Diedrich IR-12 machine in February of this year. 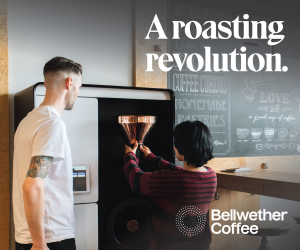 Since initially working house-roasted coffees into Grit’s four cafes, the company this summer began promoting itself as a full-scale roasting company with wholesale ambitions. 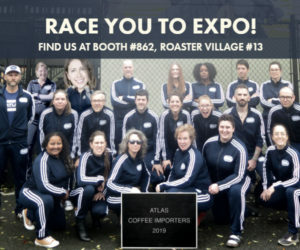 The roasting operation is being run by Wooten and Grit Director of Coffee Travis Mason, a former employee of both Stumptown Coffee Roasters and Portland Roasting Coffee. 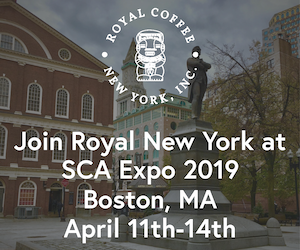 The Grit roasting team is currently sourcing greens primarily from Cafe Imports and Royal Coffee New York, and coffees have also come from Atlas Coffee Importers and Genuine Origin. 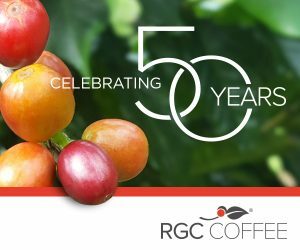 Grit’s roster of roasts launched with four core blends, including two medium roast blends, a darker roast blend and one blend of Swiss Water Decaf coffees. 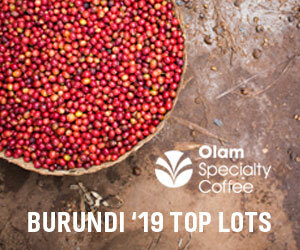 Wooten said the team plans to keep tweaking each of the blends as they evaluate incoming coffees, while the roastery is also cranking a number of single-origin offerings that are traceable to at least the cooperative or mill level, currently including origins such as Rwanda (Misozi Kopakaki), Nicaragua (Segovia PRODECOOP), Myanmar (A Lel Chaung), Mexico (Chiapas Comon Yaj Noptic Cooperative), Honduras (Reserva Pacavita), Ethiopia (Layo Taraga) and Brazil (Sitio Barra Grande). 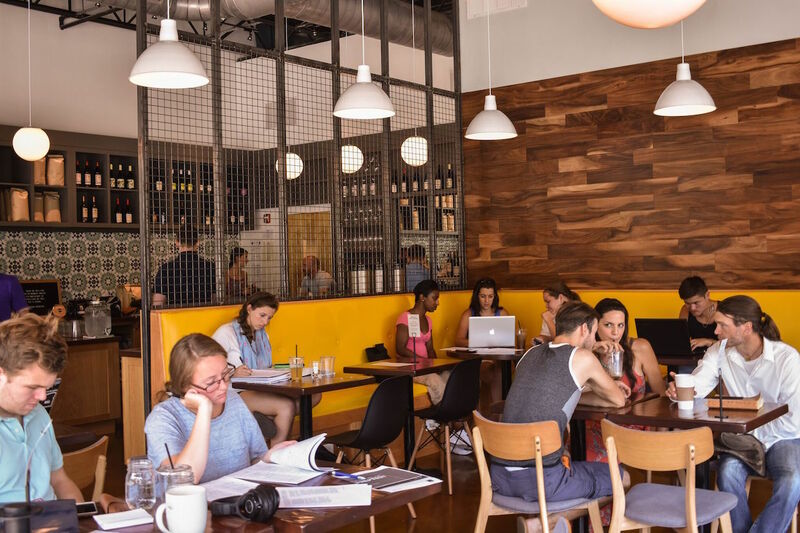 Grit Coffee’s Stonefield location, opened in December 2016. 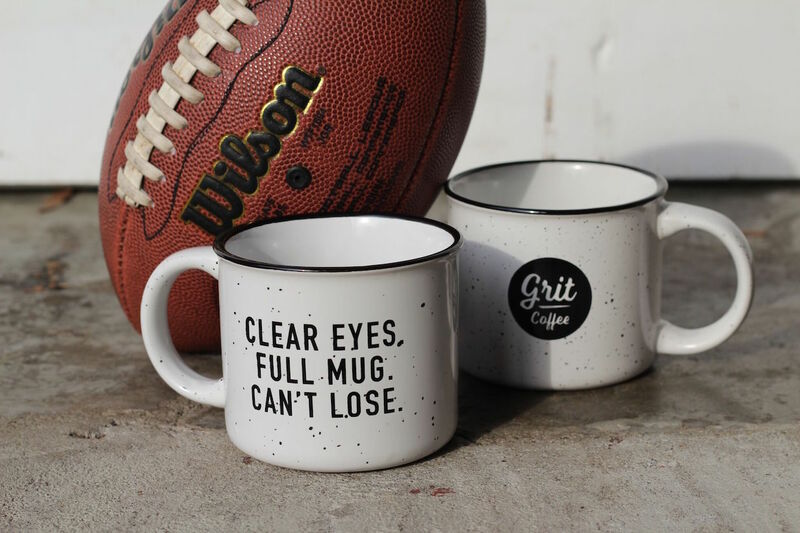 With that goal, the profiles of Grit’s coffees in each of its cafes has begun to change ever so slightly.